How do you create a child and adult-friendly haven? The addition of café blinds to an existing structure is a relatively simple and economical task, but it can pay big dividends to those who use the area. The owners of this house operate a home day care in Busselton, WA, and wanted to provide an area where kids could play, without being exposed to the harsh sun and strong winds that prevail in the area. At the same time, they needed café blinds that were safe, sturdy and would last for years. 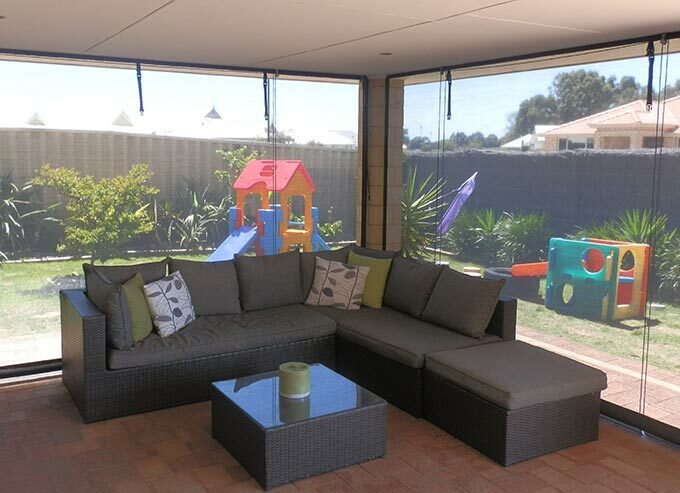 Outside Concepts used café blinds that feature a special 95% blockout, shadeview fabric. The fabric is ideal for this application because it provides privacy plus sun and wind protection, while at the same time allowing good visibility and airflow. So thrilled are the owners with their café blinds that they now use the area regularly when the kids go home!